nj arts maven: RUTHERFURD HALL LECTURE TONIGHT CANCELED! Due to inclement weather, Centenary University and Allamuchy Township Schools have been closed. 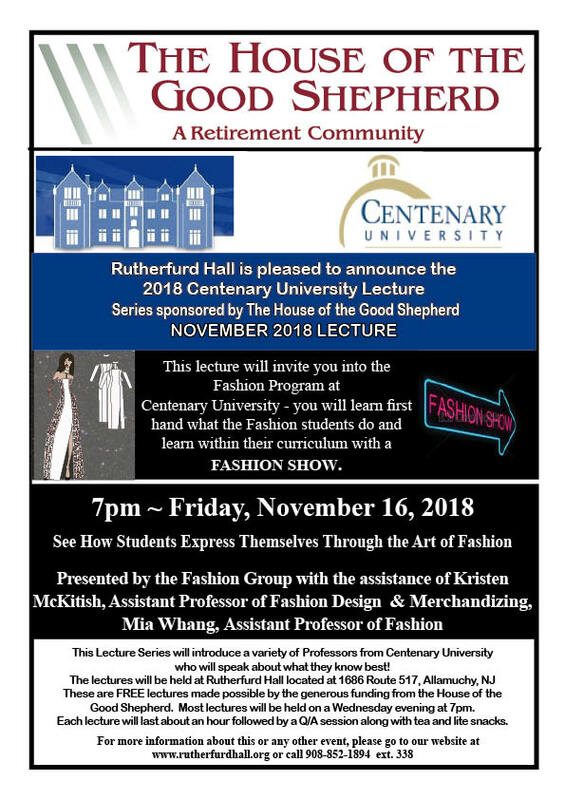 As a result, the Centenary University Lecture and Fashion Show is postponed. A new date will be announced shortly. Thank you and be safe out there!